The second full week of May is recognized as National Travel and Tourism Week, a tradition first celebrated in 1984, established by a Congressional joint resolution passed in 1983. The U.S. travel community has collectively marked the event in a number of creative ways, from staging local rallies and conducting media outreach to securing proclamations and resolutions from local legislative bodies. Each year, localized events are presented in cities, states and travel businesses nationwide to champion the power of travel. “Travel and tourism is one of the most reliable generators of jobs at all levels of the American economy, including right here in Milledgeville. We aim to show the powerful role of travel in this community,” says Linda Bailey, Office Manager of the Milledgeville Convention & Visitors Bureau. 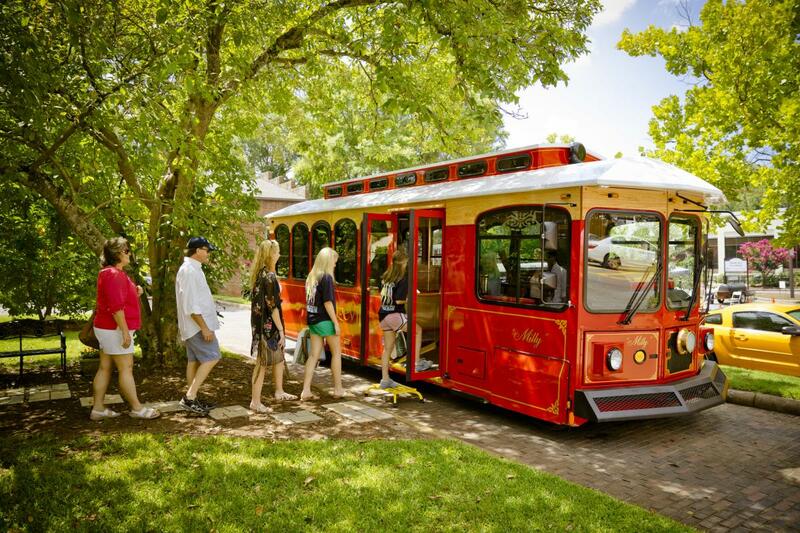 This year, our goal is to ensure that visitors have a great experience and give a positive impact while visiting our community and to do that; the Milledgeville CVB will be offering free historic trolley tours to visitors May 8th – 13th, 2017. 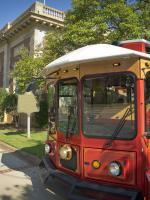 The trolley tour runs at 10 am, Monday – Friday and at 11 am on Saturday. The tours are first come, first serve and only run once daily. The Old Governor&apos;s Mansion will offer one free tour a day at 3 pm. Sallie Ellis Davis house will offer tours on Wednesday at 2 pm by appointment only. Rose Hill will offer free tours to the public all day on Wednesday. John Marlor Art Center and the GCSU’s Natural History Museum will be open to the public and offer FREE admission Monday – Friday. Andalusia is FREE and open to the public Thurs-Sun 10 - 5. Andalusia will offer a free Flannery pin to any visitor that week who mentions National Tourism Week and each will be entered into a drawing to receive our next limited edition tee-shirt in honor of National tourism week. While the GDEcD estimate validates tourism’s role as a force for local workers and business owners, the industry’s impact spreads beyond businesses that are directly related to it. The department reports that visitor spending accounted for $3.4 million in state and $2.5 million in local tax revenue in Baldwin County, which equates to an additional $370 in revenue per household for 2015. The local windfall comes as part of an estimated $59 billion impact on the Georgia economy, sustaining roughly 439,000 jobs, or more than 10 percent of the workforce statewide.